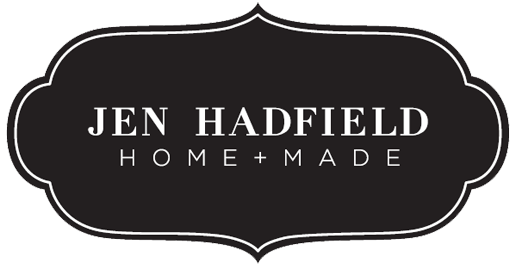 I am super excited to share with you the Jen Hadfield Home + Made collection by Pebbles, Inc. today!! Not sure about you, but I have followed Jen's fabulous blog TaterTots & Jello for quite some time. It's lovely. Her style is fantastic and so I am a big fan. However, does it come across in this collection? Let's find out! - The colors in this collection are absolutely fabulous! I love them. 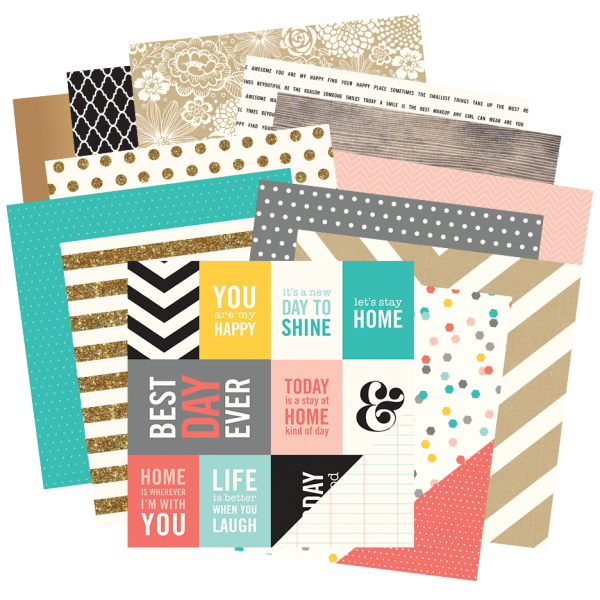 They are right on trend and give you a homey feel. - The patterns are great! There is both geometric and floral. A very good mix. -The variety of dies is good. 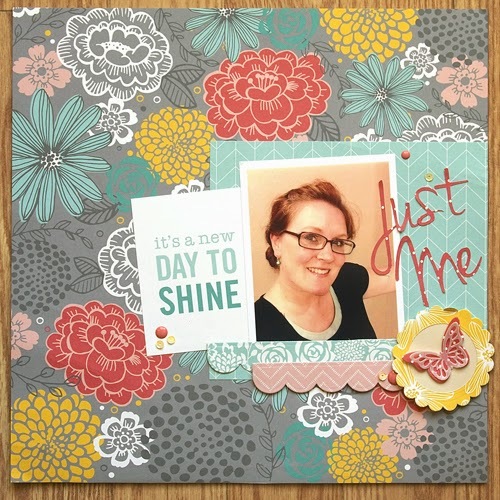 There are butterflies, banner pieces, scalloped border and more! - I can honestly say that I don't dislike a thing. I was a little leery of the dies because they aren't of the best quality, but no issues. They cut the first go through. The only time it didn't is if it was cutting a thicker material like the gold foil paper. Just go through a couple of times with a shim under the die and you're golden. This is a great collection and one worth having and enjoying! Available Online: Not available for purchase yet. Is this a collection that you will run out and get or just meh for you? Let us know!! Thanks for the review. Lovely line by Pebbles. 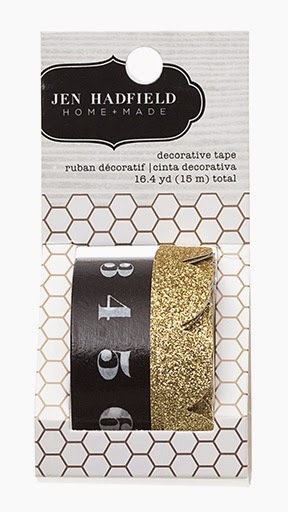 I really like the gold scalloped tape. Your layout with your selfie is lovelie. Cute banner piece and card too. I hadn't seen this collection yet - but it is beautiful!!! 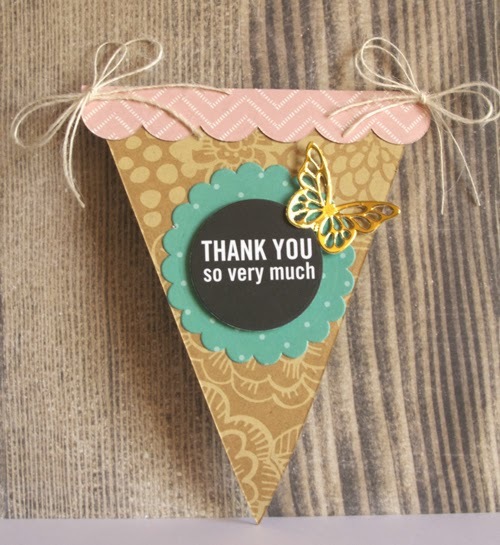 LOVE the soft colors - I think this might make my wish list somewhere!